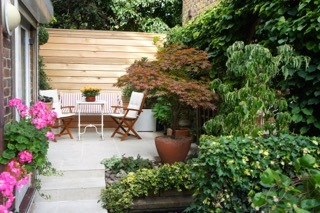 We love getting feedback from all our our clients, but this from Trudi and Robert really made us smile. 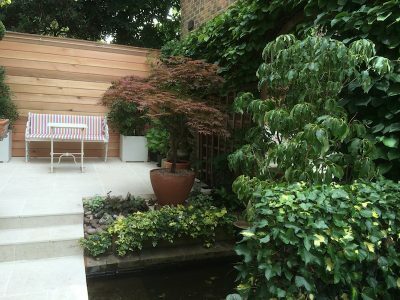 We love having clients as excited as us on the projects! 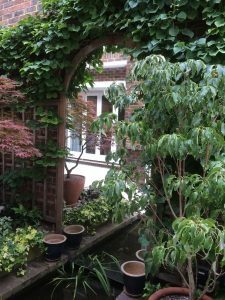 “We had engaged Millhouse Landscapes some 22 years ago when we first moved into our town house to provide us with a little pond, mirrored wall, trellis and planting to create a feeling of space in the rather narrow part of the garden. 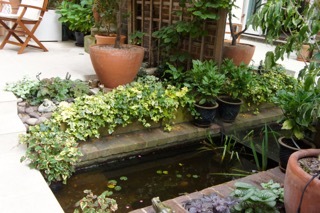 All of this work withstood the test of time, has been admired year in year out and only needed a tidy up. 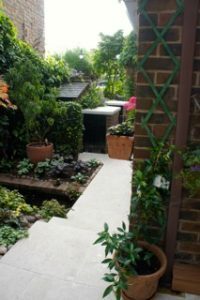 This prompted us to engage your help with the layout and hard cover of the patio and wall, which had been laid by the original builders and needed to be totally replaced. 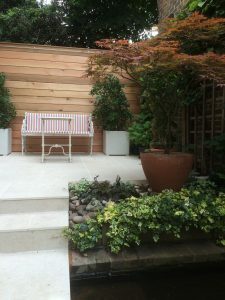 The concrete slabs were dismally grey and the rendering on the wall was discoloured and crumbling. 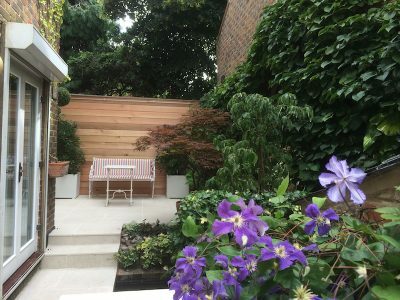 We were delighted to find that 22 years later Millhouse Landscapes were still going strong which gave us every confidence that the design and execution of our garden project would be in good hands. 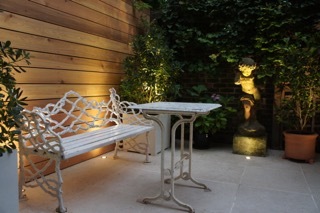 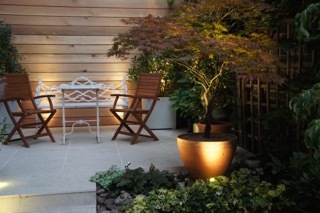 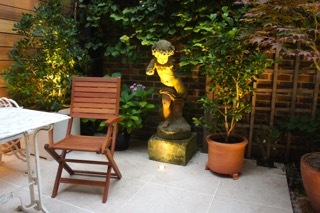 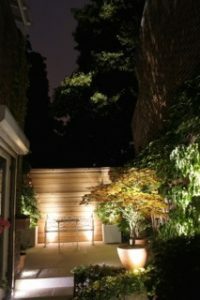 Your advice with every aspect of the project including lighting was invaluable and totally right for our little space. 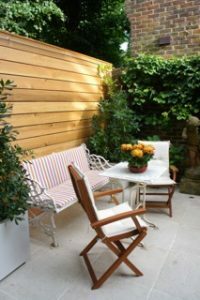 The wonderful porcelain slabs not only make the patio look spacious, but also throw light back into the house which is a great bonus. 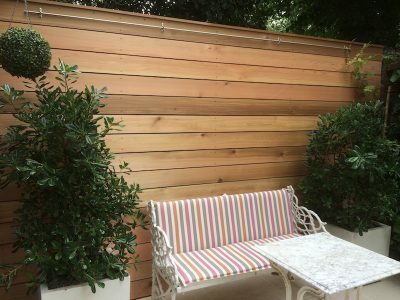 The cedar wall adds warmth to the patio and is a wonderful foil to the new planters you installed. 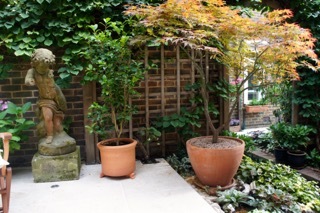 New planting in the garden area gives a fresh look. 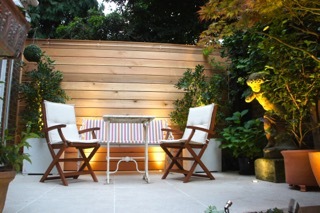 In addition the work was carried out stress free! 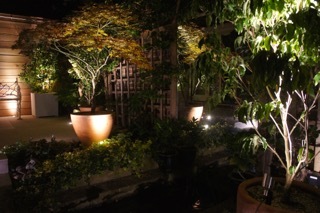 Communication between Millhouse and us was exemplary. 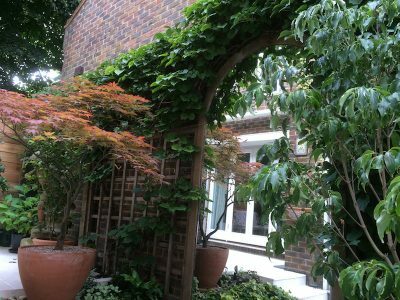 You informed us at every stage when to expect members of your team to come and everyone was helpful and above all the work was carried out totally to our satisfaction. 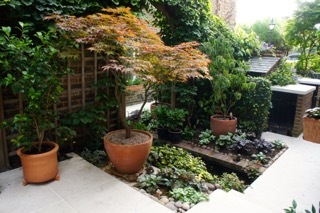 Our particular thanks go to you Tim, Mark and John who were with us most of the time with absolute commitment to perfection, as well as Gordon and Jane for making it a pleasant experience. 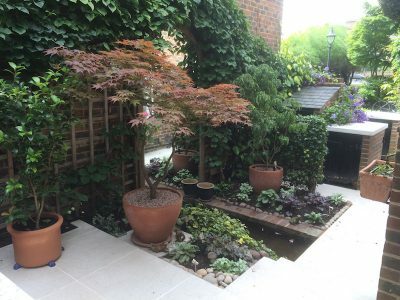 We hope you enjoy your new garden for many years to come guys!